You are here: Home / Turntable Reviews / Rega Planar 3 review: Better Than the Planar 2? Rega Planar 3 review: Better Than the Planar 2? There’s not much you can say about Rega that isn’t already known. 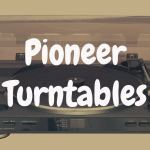 Having released their popular Planar turntables since the late 1970s, fans of vinyl have proudly played their favorite records on these machines for decades. In this Rega Planar 3 review, I’m going to help you determine if this turntable (which costs about $1,000, depending on where you purchase it) is worth your hard-earned money. 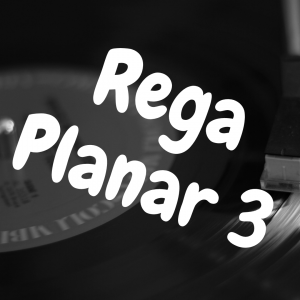 We’ll also compare the Planar 3 to the Rega Planar 1 and Rega Planar 2, to help you see the differences between these record players. 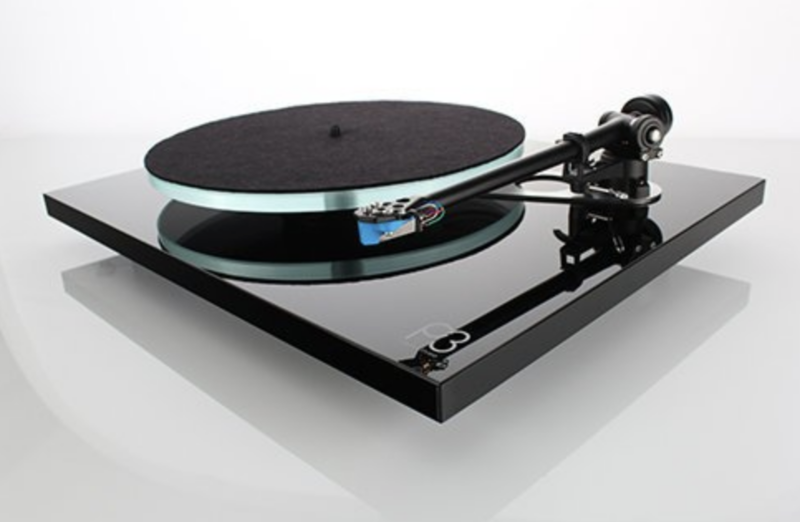 And to better help you, please take a look at the interactive guide below, which allows you to directly compare the Rega Planar 3 with other notable turntables on the market. The Rega Planar 3 is a belt drive, manual turntable. 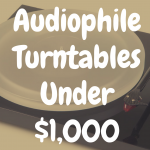 There’s absolutely no automatic operation on this turntable, so if you’re looking for a turntable that will turn itself on and off automatically, you’ll definitely have to look elsewhere. When we get into this higher price range of turntable, they almost always will be manual operation. 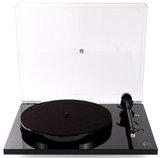 As far as looks are concerned, you can get this turntable in either gloss black or gloss white. Personally, I like my turntables to have less of an overly “showy” look, which gloss definitely provides. For example, I’m a big fan of the subdued look of the Clearaudio Concept Black, where the black color is matte as opposed to glossy. The same can be said of something like the Marantz TT-15S1, which features a frosted acrylic plinth. With that said, that’s purely aesthetics, and it’s ultimately a personal choice. As it is, the gloss black and gloss white does look slick. Another notable feature here, and it really cannot be missed because it looks so great, is the float glass platter. While the Planar 2 also used a float glass platter, the Planar 1 was rocking a phenolic resin platter. There honestly isn’t much of a difference between the glass platter of the Planar 2 and Planar 3 except that the Planar 3’s platter is heavier and thicker. In fact, to be spec-accurate, the Planar 2’s platter is 10mm thick, while the Planar 3’s platter is 12mm thick. 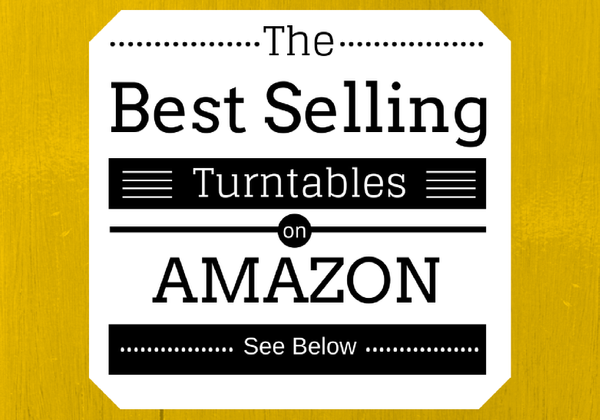 Below, please take a moment to view some of the best-selling turntables currently on sale at Amazon, and then see how well they compare to the Rega Planar 3. One very cool element of the Planar 3 is it’s double bracing feature. What you have here is a a bracing feature that increases the rigidity of the plinth, as it’s connected between the Planar 3’s tonearm and the main hub bearing at the center of the turntable. This feature will help reduce unwanted resonance, which could otherwise negatively color your sound. The Rega Planar 3 comes with the RB330 tonearm, as well as the Elys cartridge (featuring a three point mounting system). The Elys is a nice enough cartridge, but what’s great is that you can upgrade to something like the Ortofon Bronze (which I’m a big fan of and is an upgrade over the very solid Ortofon Blue) or the Ortofon Black. Let’s now take a bit of time to discuss what you get with the motor on the Planar 3. This turntable uses a 24 volt, low noise brushless motor. You’l notice that this motor will be a big help when it comes to maintaining speed consistency. At the same time, what’s nice about the Planar 3 is its upgrade path. And here, you can get the Rega TTPSU, which is Rega’s external speed control unit. 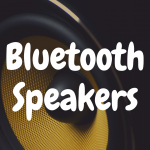 This will improve your speed stability even more, as well as reduce unwanted motor noise (nobody wants the motor noise to be competing with the actual sound of your music coming through the speakers). So now that we’ve examined some of the key features that makes the Planar special, let’s discuss how well it stacks up to the Planar 1 and Planar 2. Especially because there’s such a big difference in price. Let’s first discuss price briefly. The Rega Planar 1 costs about $475. The Rega Planar 2 costs about $675. And the Rega Planar 3 costs about $1,000, although some places may sell it for over $1,100. So, it’s about double the price of the Planar 2, and more than double the price of the Planar 1. So, ultimately, is the Planar 3 really worth that massive price difference? Well, let’s take look. In terms of how these turntables are built, it’s a bit similar, although the Planar 2 and 3 are better constructed. On the Planar 1, you have essentially high pressure acrylic laminate over particle board. On the Planar 2 and Planar 3, you swap out the particle board for a heavier and even a bit denser MDF. As mentioned before, the Planar 3 also steps up its game when it comes to taking the initiative to remove unwanted resonance. To do this, the Planar 3 implements a double bracing feature. This helps increase the plinth’s rigidity, as the bracing element connects from the main hub bearing to the tonearm. As far as the platter is concerned, the Planar 2 and Planar 3 use the same float glass platter—but the Planar 3’s platter is thicker and heavier by about 2 mm. The Planar 1, by contrast, uses a resin platter. Now all three turntables do use a 24 volt, low noise brushless motor. But as mentioned earlier, the Planar 3 allows for the use of Rega’s external speed control unit—the TTPSU. Now, when it comes to some of these Rega turntables, the lineup can be a bit confusing due to the nomenclature. In 1977, the Rega Planar 3 was released. Around 2000 came the Rega P3, which provided high gloss plinths. Then came the Rega P3-24, which were rocking a revised RB301 tonearm. On top of that, the “24” stood for the 24 volt motor. Sometime around 2012 is where the Rega RP3 came about. Aside from just the addition of braces, you also now saw a revised RB303 tonearm. And now, with Rega’s decision to go back to the Planar brand in 2016, the Rega Planar 3 made its reintroduction into the market. And the Planar 3 features the RB330 tonearm. It’s phenolic brace is about 3mm, as opposed to 2mm that’s found on the RP3. With that said, you’re not going to find an overwhelming amount of differences between the Planar 3 vs the RP3—at least not differences that will affect the sound enough for you to hear a major variations. Both turntables are using an Elys cartridge, both utilize the double bracing feature on the plinth, and both have a float glass platter. Both are compatible with the TT-PSU speed control unit, as well. So, if you can find the Rega RP3 for quite a bit less than the Rega Planar 3, that might be a wise direction to go in. The Rega Planar 3 is a fantastic turntable for the money. You’re going to get a well constructed turntable with a very solid tonearm and cartridge. On top of that, you’ll easily be able to swap out the cartridge for something better, if you so choose. With a double bracing feature for added rigidity, a precision main bearing and a 24 volt motor that’s low noise, the Planar 3 is likely going to be a record player that will last you for many years to come. 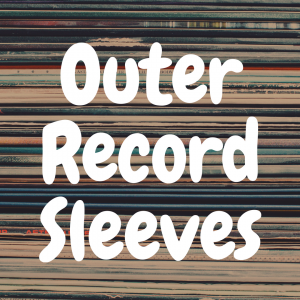 If you enjoyed this article, please “like” our new Devoted to Vinyl Facebook page! 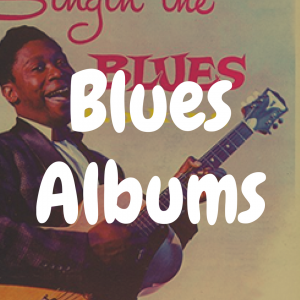 40 Vinyl Record Collection Essentials to Buy Immediately!